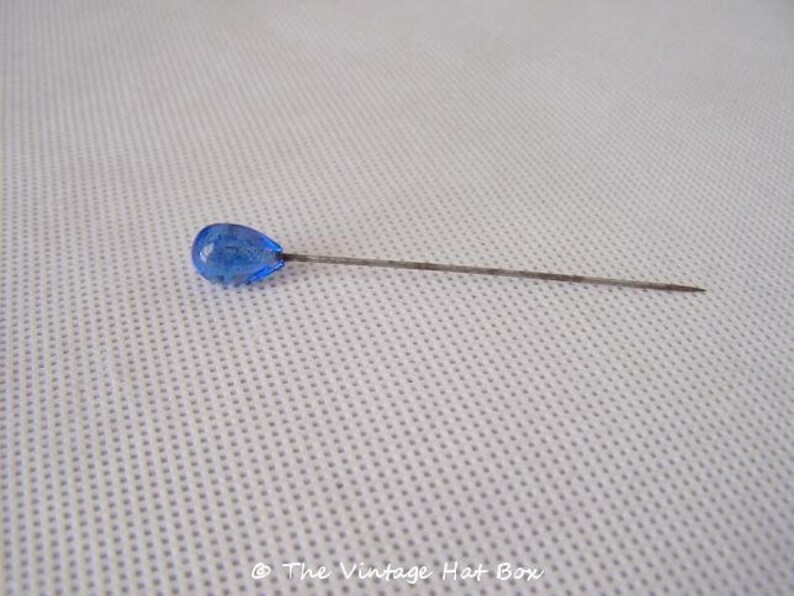 Vintage cobalt blue glass tear drop hat pin in good condition. Shaft is straight with some patina. Hat pin measures 3 1/8 inches. See photos.